Kickstarter arrives on iOS, no Android version for now! 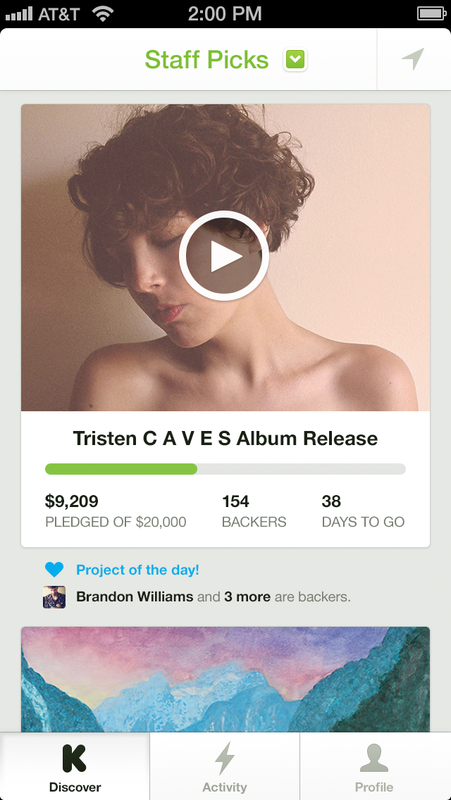 You’ve probably already heard of Kickstarter. English crowfunding this site has received a lot, especially in the middle of the game or a lot of projects require more or less serious money to be born. Today, the company has decided to make a step ahead by spend the second move and launching their iOS application. You can follow the projects that matter to you and those close to your heart directly on your smartphone. Better, you will discover popular projects with a simple slide of a finger”swipe”. The current projects that you follow will be sent via a dedicated page. A section is also dedicated to designers seeking funds on the site. They can change their status of progress directly on mobile, watch the progress of donations and even post photos taken by iPhone directly on the site. Of course, the app is free. For now Kickstarter has not yet announced the release version of its application on Android.